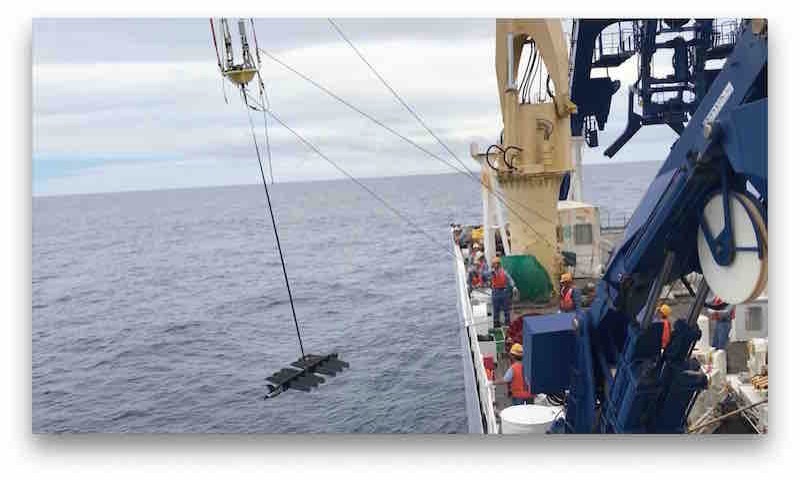 Today, we have recovered the wave glider “Umihei” at 4S101E that was deployed at the location of the Sumatra m-TRITON buoy 5S100E on 3 December (the 1st picture). It was moving around the Sumatra buoy to gain the validation data and swam using wave’s forcing to the stationary observation point of R/V Mirai. It also gained horizontal variations around R/V Mirai. We were deeply impressed with its return after a lot of challenges. 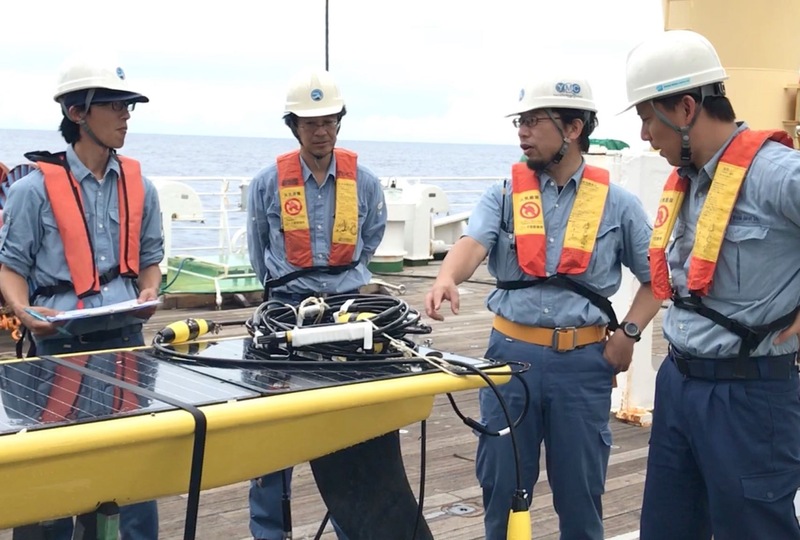 Mr. Makito YOKOTA (JAMSTEC/Department of Marine Technology Development Center) who is in charge of the development of various optional functions on the wave glider is at the left edge of the 2nd picture. He meets the demands of researchers over trouble-shooting and develops “Umihei” like a child raising with warm affection. Now, it’s our turn to raise “Umihei” by using the data. Fly, “Umihei”, toward the future of the air-sea interaction research.